mulators for the old Apple ][ line* really tug at my heart strings. 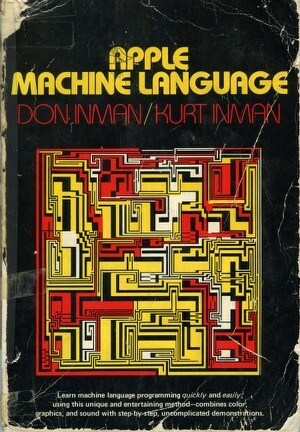 The second language I ever learned after BASIC (and Integer BASIC, if that counts as different), back in junior high / early high school, was 6502 machine language. Somehow, my friend Jordan and I got it into our heads that we could tackle machine language. Good thing we didn't know any better. Learning hex arithmetic was neat, but learning how to string them together in memory to make a program was crazy and fun. The hardest part was learning high res graphics and how to talk with external devices. Later I learned the joys of assembly language and the great Merlin editor. Later came the related chips, the 65c02 (I think I was in high school by this point) and the 65816 (in early college — 16 bits of joy here). They were all so much fun to program because they were so understandable, and the Apple ][ machines were understandable down to every bit and every resistor. It was a machine that one could hack like none I've ever known since. I've still got tons of my old discs and code, too. As far as programming goes, the Apple ][ line also introduced me to the languages Pascal and GraFORTH. Pascal was structured and good for my brain, but not exciting. GraFORTH ruled, and learning Forth was trippy at the time, but was really slow and it wasn't as easy to write apps in. Assembly was where it was at. Back in those days, Softalk was around (still the king of computer magazines as far as I'm concerned), and there were lots of great programming articles to get going, even if you were just a punk kid. My Apple ][+ not only still exists, but is in the next room, waiting for more attention when I get the chance. I also have an Apple ][e that I got for less than a song a short while back, and a Laser 128 (128k of RAM!). I gave away my Franklin Ace and two ][c machines when I moved a few years back (I think I got rid of close to two dozen computers that year, only regretting that I let go of a great Mac SE/30). The ][+ goes with me to the grave, however. Feeling a bit nostalgic for the old days Jeff? The Stanton book was great, and the Merlin mnemonic code assembler was a fantastic little gem back then – a Christmas present from my dad. Don Worth’s Beneath Apple DOS is also worth mentioning, for it’s low-level “explain it all and explain it simply�? style. Wow, forgot about those books. Good memory there. Yeah, there were a lot of good books, now that I think about it, including a few of the ones that came with the machine. Didn't it come with like 5 small books or something? Or did you have to buy some of those separately? Back when the manuals were really useful. I ran across a ][GS emulator yesterday and it set this nostalgia off. I just miss having a completely fathomable environment. These days you can know a lot of what's going on under the hood, but there's no way to get to know all the layers. The complexity is insane and a moving target. I think I had the ][+ for 6 years. Then I got to use an X-windows environment and was on the internet (in '87 I think). What a switch! But they made me program in Fortran by then. What a drag that was. Found this list of Apple ][ books.